We are running into a problem and we are wondering if anyone else is having a similar problem. We are asked to see residents of nursing homes in consultation. We fax them the paperwork to fill out, which includes a review of system. Frequently the nursing homes fax the paperwork back to us blank, and without a review of systems the highest level we could bill is a 99241. They are VERY resistant to filling out paperwork for their residents. The patient is brought into the office, and is accompanied by an employee of the nursing home. Typically this employee is not the caregiver of the patient; he/she is really just a chaperone, so they cannot provide any of the patient's medical history/review of systems. The patients are usually suffering from some form of dementia, and are unable to provide answers to a review of systems. So is anyone else having a similar problem? How do you handle it? Do you refuse to see the patient without the proper paperwork? Do you obtain the history and/or ROS over the phone with someone at the Nursing Home? Do you think this would be considered coordination of care? Last edited by Colliemom; 09-27-2010 at 11:59 AM. I code for Hospitalists and they see many nursing home patients in the ER and we come up against this scenario quite often! I asked this question to Highmark, our Medicare carrier, and I was told as long as you document the circumstance of why the patient is unable to answer your ROS questions (dementia, unresponsive, ect.) and you document what steps you took to obtain this information (i.e. spoke with family by phone, nursing staff or caregivers, family not available, old medical records, etc.) then you can qualify for a comprehensive History. 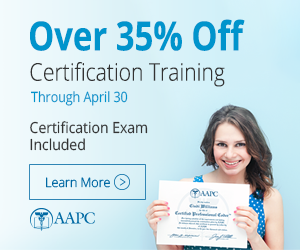 The doctor must still perform the comprehensive exam and MDM portion to get your level. I agree with Jodi. We're under National Government Services vs. Highmark, but E/M standards do state that as long as the physician is dictating/documenting the reason they are unable to complete ROS or even HPI, you can credit them for a comprehensive history. They do the best they can!